Cartoons by Capt Bruce Bairnsfather, a British soldier. 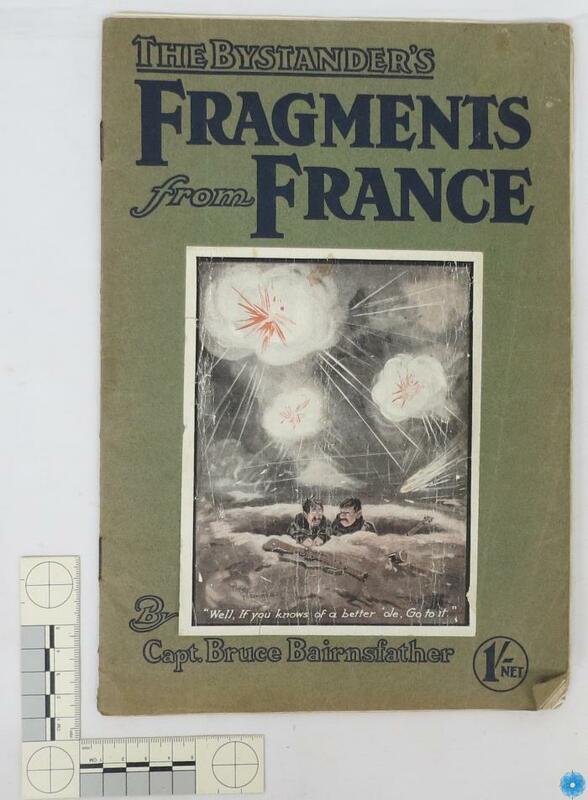 Description: A soft cover book of cartoon sketches, by a named officer, of life in the trenches during the First World War. One cartoon pasted on cover.